Law firms have a unique position. People turn to law firms when they need help with difficult issues. When it is done poorly, internet advertising from law firms can drive potential clients away. If you need help managing your paid search account, look for someone with years of experience managing Google AdWords accounts. Webrageous has been managing legal pay-per-click accounts for over 15 years. Our results speak for themselves. We can generate personal injury attorney leads for under $200 each. Our cost for bankruptcy leads is about $50 per lead. Family law leads usually cost around $30 – $80 per lead. We also have 15 years experience in mass torts/pharmaceutical liability/medical device liability. Advertising must adhere to strict state bar, ethics, and advertising regulations. If you don’t adhere, you and your law firm could face serious legal repercussions. All mass tort law firms are competing for the same million dollar cases by bidding on the same keywords. This makes the legal search market very competitive, driving up your cost-per-click. If you cannot convert clicks into clients, you cannot survive in the market. We make sure to target the right keywords and we make sure your landing page is doing its job and converting clients. Choosing an experienced partner to manage your personal injury, bankruptcy, family law or mass tort campaigns is critical. Here are the results we have seen recently for three practice areas. Highlighted are the CPL’s (cost per leads) – the cost to receive a contact form submission or phone call. Mostly we are driving phone leads – the best kind of live leads. How Can Webrageous Help with Legal PPC Management? We have been doing PPC management for law firms for over 10 years. We have experience in many legal areas, including bankruptcy, employment law, personal injury, pharmaceutical and medical device liability and more. Our process starts with a conversation. We talk with our clients and discuss what kind of cases are best for them. Then we proceed with our keyword research, based on that discussion. We use a variety of keyword research tools to build a list of all possible keywords that are relevant to our client. Our extensive experience gives us years of data on what works best in the practice areas we are familiar with. We focus on key phrases with three or four words because they are less expensive and convert better. For example, if the client deals in auto accident cases in Chicago, the keyword “car accident lawyer Chicago” is much more relevant than simply “accident lawyer”. Choosing the right keywords is just the first step. After that, we create highly targeted ads for each keyword, consulting with our client and their web designer to optimize their landing pages. We started as a web design firm, so we know how to communicate effectively with designers and programmers. When the user arrives at a landing page, they look for contact information first. It is important to make it easy for the user to call or contact you via a form. Users also look for a law firm’s qualifications and achievements. Making these items visible on the landing page increases user trust and makes them feel more comfortable in contacting you. We are one of the best legal PPC management firms in the market. Our account managers average more than 5 years of experience in managing PPC campaigns. We have an A+ Better Business Bureau rating and the majority of our clients have been working with 3 years or more. You can check the testimonials of some of our clients yourself and see how we can bring the same results for your firm. If your law firm is looking to improve your bottom line through online advertising, we are here to help. give us a call now at 800-645-9521. Webrageous has been successfully managing Google AdWords campaigns for family law firms for more than 10 years. We have the experience you need to succeed. Would you like to see the proof? We have provided a few case studies below. We are confident that our results will speak for themselves. This Family Law client has outsourced their advertising to Webrageous for less than 30 days. Prior to launching campaigns, we worked with the client to optimize her site for conversions. Landing page optimization and pre-optimized campaigns built on family law PPC advertising best practices have resulted in an extremely low cost-per-lead (CPL) for Family Law. The cost per lead (CPL) is the cost to receive one contact form submission or phone call. Per the client’s request, we are primarily driving Child Custody leads, and devoting only a small portion of our budget to Child Support and Divorce advertising. This highly successful Family Law client, who asked that we not use their name, has outsourced their advertising to Webrageous for over six years now and averages around $3,500 monthly spend in a highly competitive urban area. Average cost per lead has ranged from $68 to $42 over the past six months. Divorce attorney keywords convert at about twice the cost per lead of Child Custody keywords; to maintain a lower overall CPL we aim for around 90% of leads to come from Child Custody keywords. Eric Willie has been a client for over six years now. Average monthly advertising spend for this Family Law Firm varies depending on the firm’s caseload. We regularly adjust or strategy based on the client’s lead volume and case type needs. About 50% of lead volume comes from Divorce keywords, which average around 16% higher CPL compared to Child Custody. We are not able to track calls from this client’s website, below we can see the number of calls from ads per month (the caller clicks to call from the call extension displayed with the text ad). Based on other Family Law account performance we estimate there are close to twice as many total calls if calls from the site were tracked meaning that a realistic cost per conversion if we were counting all calls would be half the number shown above (lower is better). You can watch a video testimonial from this client at the end of our testimonials reel here. We have only been managing this client’s Family Law AdWords campaigns for around three full months. Starting in March of 2017, we began targeting only divorce leads. Running divorce only keywords has resulted in an increase in CPL over November 2016 when we ran custody keywords as well. Divorce leads are typically more expensive so this was expected and the client is happy with the results. Please note that these costs per leads do not include our management fee, which varies depending on your spending. Look at the average call duration; longer call length is an indication of higher call quality. 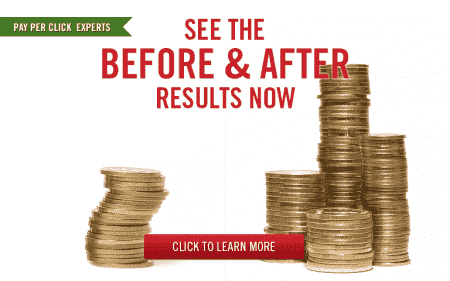 If you want to achieve results like this with your online advertising, we are ready to help. Just fill out our contact form or call us at 800-645-9521. Family Law AdWords results can vary depending on the location, case type, tracking capabilities, and PPC campaign strategy. Below are summarized results for a few of our law firm clients targeting Divorce, Child Custody, and Child Support leads. Budgets range from $1,500 to $7,000+ monthly. The average cost-per-click (CPC) can vary considerably depending on location. The conversion rate (percentage of clicks that become a lead) for our family law firm clients ranges between 12% and 40% depending on a number of factors, including device targeting (phone/desktop), case type, and tracking capabilities as primary variables.